This sundial created by Wolfgang Buchner is situated at the Styrian state archive in Graz. The state archive is located at the Karmeliterplatz, a plaza in the centre of the city. 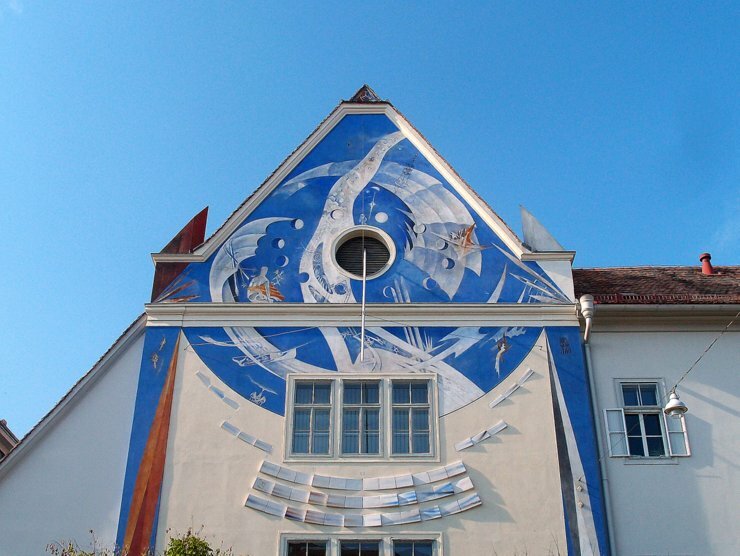 This entry was posted in Sundials and tagged Austria, Graz, Styria by Travelwriticus. Bookmark the permalink.